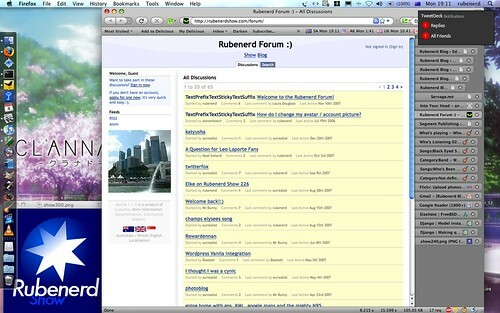 Rubenerd: Expected to find the Rubenerd Forum? Expected to find the Rubenerd Forum? If you've been redirected to this blog post expecting to find the Rubenerd Forum, I decided to close it because it seemed to be just a magnet for spambots alas. Now that the Rubenerd Show and Blog are hosted here on software that support comments, you can leave feedback on the individual shows themselves which I reckon makes more sense anyway. If you'd like to take a trip down memory lane, you can download a completely self contained archive of the forum I downloaded with HTTrack before taking it offline. Windows is the only major OS that doesn't support bzip2 out of the box, but 7zip can make light work of it, and it's free. Newer post ← Why do spammers spam?